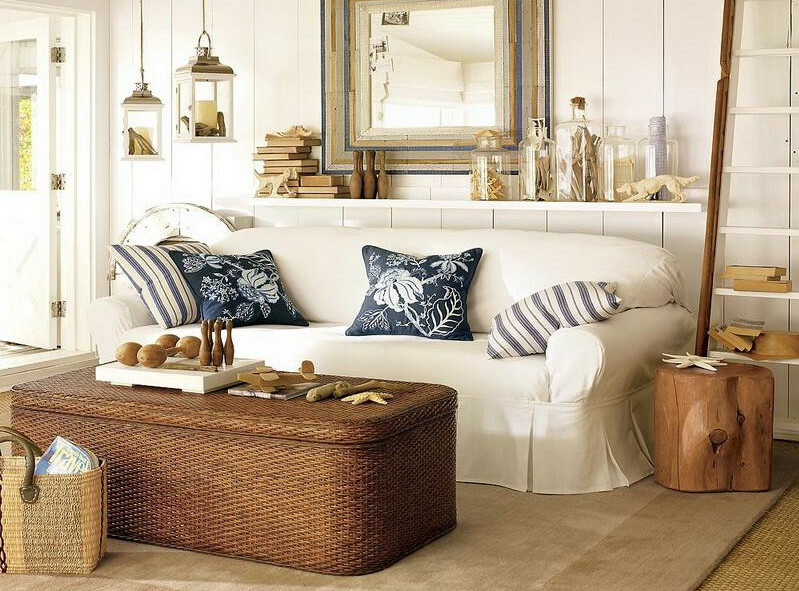 The seats in this house are suitable for beach homes. They are constructed with twisted tree branches yet they are so beautifully completed by the blue and white cushions. The blue star on the wall grabs instant attention, just like the chandelier above a male figure’s portrait placed on top of a white cabinet. You have a blue metallic box for a table.